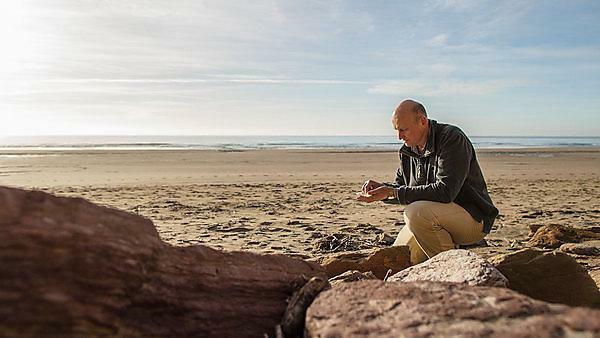 A team of researchers including Professor Richard Thompson OBE, Head of the International Marine Litter Research Unit at the University of Plymouth, has been shortlisted for a prestigious award. The researchers, also including Professor Tamara Galloway and colleagues at the University of Exeter and Dr Penelope Lindeque from Plymouth Marine Laboratory, are in the running for a Natural Environment Research Council (NERC) Impact Award. The shortlisting recognises the substantial benefit their pioneering work to establish the causes and effects of microplastics within the marine environment has provided for society. Professor Thompson, also Director of the Marine Institute, published a seminal research paper in Science in 2004, which included the first mention of the term microplastics in its current context. He and Professor Galloway received joint funding from the Leverhulme Trust to look in more depth at the effect tiny pieces of plastic could be having on marine life, as well as a number of separate funding grants from NERC and other research councils. A single wash load of acrylic clothing can release 700,000 microfibres. The research has helped to raise awareness about the pervasive issue of microplastics among the public and the academic community, and has seen the academics advising on the seminal BBC series Blue Planet II. Made an OBE for Services to Marine Science in the 2018 New Year’s Honours List, Professor Richard Thompson was described as the ‘Godfather of Microplastics’ during a sitting of the government’s Environmental Audit Committee in June 2016. “Since our first study describing microplastics was published in 2004, the science of plastic pollution in our oceans has changed almost beyond recognition. Funding from NERC and others has played a crucial role in that and having robust scientific information not only on the problem, but also around the solutions is essential to help inform change. “Research conducted here at the University has helped unite scientific evidence across the disciplines and, in particular, social and behavioural sciences which will be fundamental to catalysing societal change. More plastic has been produced in the last seven years than in all of the last century. Through greater awareness of the problem, the wider world is waking up to this global challenge and the importance of taking action. “We all have to make choices about how we use plastics and it isn't always easy to do the right thing. Plastics are in such a huge range of products - from mascara to coffee cups - that it can feel impossible to make a difference, but we can. The passion that drives my research is that I want to protect the environment. I want to protect it for my children, and for future generations. “It is vitally important that we tackle the issue by preventing plastic waste from accumulating in the environment. We need to make the supply chain circular rather than the current linear model, which means usefully re-using the plastic products we make. We need to find alternative materials that can be produced cheaply and, crucially, don't break down into particles or chemicals that can cause harm to the environment. “The public interest globally in plastic pollution has grown phenomenally since the microbeads ban. “We’re absolutely delighted that the work our microplastic team have undertaken over the past 10 years at Plymouth Marine Laboratory, in collaboration with the University of Plymouth and University of Exeter, has been recognised by NERC. Marine litter is a global environmental problem with items of debris now contaminating habitats from the poles to the equator, from the sea surface to the deep sea. Representing 3000 staff, researchers and students, the University of Plymouth's Marine Institute is the first and largest such institute in the UK. We provide the external portal to our extensive pool of world-leading experts and state-of-the-art facilities, enabling us to understand the relationship between the way we live, the seas that surround us and the development of sustainable policy solutions.